The Act requires federal agencies and institutions that receive federal funding to return Native American "cultural items" to lineal descendants and culturally affiliated Indian tribes and Native Hawaiian organizations. Cultural items include human remains, funerary objects, sacred objects, and objects of cultural patrimony. A program of federal grants assists in the repatriation process and the Secretary of the Interior may assess civil penalties on museums that fail to comply. An Act to provide for the protection of Native American graves, and for other purposes. 25 U.S.C. ch. 32 § 3001 et seq. The intent of the NAGPRA legislation is to address long-standing claims by federally recognized tribes for the return of human remains and cultural objects unlawfully obtained from prehistoric, historic, former, and current Native American homelands. Interpretation of human and indigenous rights, prehistoric presence, cultural affiliation with antiquities, and the return of remains and objects can be controversial and contested. It includes provisions that delineate the legal processes by which museums and federal agencies are required to return certain Native American cultural items—human remains, gravesite materials, and other objects of cultural patrimony—to proven lineal descendants, culturally related Native American tribes, and Native Hawaiian groups. Outcomes of NAGPRA repatriation efforts are slow and cumbersome, leading many tribes to spend considerable effort documenting their requests; collections' holders are obliged to inform and engage with tribes whose materials they may possess. NAGPRA was enacted primarily at the insistence and by the direction of members of Native American nations. Tribes had many reasons based in law that made legislation concerning tribal grave protection and repatriation necessary. State Statutory Law: Historically, states only regulated and protected marked graves. Native American graves were often unmarked and did not receive the protection provided by these statutes. Common Law: The colonizing population formed much of the legal system that developed over the course of settling the United States. This law did not often take into account the unique Native American practices concerning graves and other burial practices. It did not account for government actions against Native Americans, such as removal, the relationship that Native Americans as different peoples maintain with their dead, and sacred ideas and myths related to the possession of graves. Equal Protection: Native Americans, as well as others, often found that the remains of Native American graves were treated differently from the dead of other races. First Amendment: As in most racial and social groups, Native American burial practices relate strongly to their religious beliefs and practices. They held that when tribal dead were desecrated, disturbed, or withheld from burial, their religious beliefs and practices are being infringed upon. Religious beliefs and practices are protected by the first amendment. Sovereignty Rights: Native Americans hold unique rights as sovereign bodies, leading to their relations to be controlled by their own laws and customs. The relationship between the people and their dead is an internal relationship, to be understood as under the sovereign jurisdiction of the tribe. Treaty: From the beginning of the U.S. government and tribe relations, the tribe maintained rights unless specifically divested to the U.S. government in a treaty. The U.S. government does not have the right to disturb Native American graves or their dead, because it has not been granted by any treaty. The Native American Graves Protection and Repatriation Act is a law that establishes the ownership of cultural items excavated or discovered on federal or tribal land after November 16, 1990. The act also applies to land transferred by the federal government to the states under the Water Resources Department Act. However, the provisions of the legislation do not apply to private lands. The Act states that Native American remains and associated funerary objects belong to lineal descendants. If lineal descendants cannot be identified, then those remains and objects, along with associated funerary and sacred objects, and objects of cultural patrimony belong to the tribe on whose lands the remains were found or the tribe having the closest known relationship to them. Tribes find the burden of proof is on them, if it becomes necessary to demonstrate a cultural relationship that may not be well-documented or understood. Nowhere has this issue been more pronounced than in California, where many small bands were extinguished before they could be recognized, and only a handful, even today, have obtained federal recognition as Native Americans and descendants of Native American bands. Congress attempted to "strike a balance between the interest in scientific examination of skeletal remains and the recognition that Native Americans, like people from every culture around the world, have a religious and spiritual reverence for the remains of their ancestors." The act also requires each federal agency, museum, or institution that receives federal funds to prepare an inventory of remains and funerary objects and a summary of sacred objects, cultural patrimony objects, and unassociated funerary objects. The act provides for repatriation of these items when requested by the appropriate descendant of the tribe. This applies to remains or objects discovered at any time, even before November 16, 1990. Since the legislation passed, the human remains of approximately 32,000 individuals have been returned to their respective tribes. Nearly 670,000 funerary objects, 120,000 unassociated funerary objects, and 3,500 sacred objects have been returned. The statute attempts to mediate a significant tension that exists between the tribes' communal interests in the respectful treatment of their deceased ancestors and related cultural items and the scientists' individual interests in the study of those same human remains and items. The act divides the treatment of American Indian human remains, funerary objects, sacred objects, and objects of cultural patrimony into two basic categories. Under the inadvertent discovery and planned excavation component of the act and regulations, if federal officials anticipate that activities on federal and tribal lands after November 16, 1990 might have an effect on American Indian burials—or if burials are discovered during such activities—they must consult with potential lineal descendants or American Indian tribal officials as part of their compliance responsibilities. For planned excavations, consultation must occur during the planning phase of the project. For inadvertent discoveries, the regulations delineate a set of short deadlines for initiating and completing consultation. The repatriation provision, unlike the ownership provision, applies to remains or objects discovered at any time, even before the effective date of the act, whether or not discovered on tribal or federal land. The act allows archaeological teams a short time for analysis before the remains must be returned. Once it is determined that human remains are American Indian, analysis can occur only through documented consultation (on federal lands) or consent (on tribal lands). A criminal provision of the Act prohibits trafficking in Native American human remains, or in Native American "cultural items." Under the inventory and notification provision of the act, federal agencies and institutions that receive federal funds are required to summarize their collections that may contain items subject to NAGPRA. Additionally, federal agencies and institutions must prepare inventories of human remains and funerary objects. Under the act, funerary objects are considered "associated" if they were buried as part of a burial ceremony with a set of human remains still in possession of the federal agency or other institution. "Unassociated" funerary objects are artifacts where human remains were not initially collected by—or were subsequently destroyed, lost, or no longer in possession of—the agency or institution. Consequently, this legislation also applies to many Native American artifacts, especially burial items and religious artifacts. It has necessitated masscataloguing of the Native American collections in order to identify the living heirs, culturally affiliated Indian tribes, and Native Hawaiian organizations of remains and artifacts. NAGPRA has had a dramatic effect on the day-to-day practice of archaeology and physical anthropology in the United States. In many cases, NAGPRA helped stimulate interactions of archaeologists and museum professionals with Native Americans that were felt to be constructive by all parties. The late 19th century was one of the most difficult periods in Native American history in regards to the loss of cultural artifacts and land. With the founding of museums and scholarly studies of Native American peoples increasing with the growth of anthropology and archeology as disciplines, private collectors and museums competed to acquire artifacts, which many Native Americans considered ancestral assets, but others sold. This competition existed not only between museums such as the Smithsonian Institution (founded in 1846) and museums associated with universities, but also between museums in the United States and museums in Europe. In the 1880s and 1890s, collecting was done by untrained adventurers. As of the year 1990, federal agencies reported having the remains of 14,500 deceased Natives in their possession, which had accumulated since the late 19th century. Many institutions said they used the remains of Native Americans for anthropological research, to gain more information about humans. At one time, in since discredited comparative racial studies, institutions such as the Army Medical Museum sought to demonstrate racial characteristics to prove the inferiority of Native Americans. Maria Pearson is often credited with being the earliest catalyst for the passage of NAGPRA legislation; she has been called "the Founding Mother of modern Indian repatriation movement" and the "Rosa Parks of NAGPRA". In the early 1970s, Pearson was appalled that the skeletal remains of Native Americans were treated differently from white remains. Her husband, an engineer with the Iowa Department of Transportation, told her that both Native American and white remains were uncovered during road construction in Glenwood, Iowa. While the remains of 26 white burials were quickly reburied, the remains of a Native American mother and child were sent to a lab for study instead. Pearson protested to Governor Robert D. Ray, finally gaining an audience with him after sitting outside his office in traditional attire. "You can give me back my people's bones and you can quit digging them up", she responded when the governor asked what he could do for her. The ensuing controversy led to the passage of the Iowa Burials Protection Act of 1976, the first legislative act in the United States that specifically protected Native American remains. Emboldened by her success, Pearson went on to lobby national leaders, and her efforts, combined with the work of many other activists, led to the creation of NAGPRA. Pearson and other activists were featured in the 1995 BBC documentary Bones of Contention. The 1987 looting of a 500-year-old burial mound at the Slack Farm in Kentucky, in which human remains were tossed to the side while relics were stolen, made national news and helped to galvanize popular support for protection of Native American graves. Likewise, several protests at the Dickson Mounds site in Illinois, where numerous Indian skeletons were exposed on display, also increased national awareness of the issue. Return to the Earth is an inter-religious project whose goal is to inter unidentified remains in regional burial sites. Over 110,000 remains that cannot be associated with a particular tribe are held in institutions across the United States, as of 2006. The project seeks to enable a process of reconciliation between Native and non-Native peoples, construct cedar burial boxes, produce burial cloths and fund the repatriation of remains. The first of the burial sites is near the Cheyenne Cultural Center in Clinton, Oklahoma. A few archeologists are concerned that they are being prevented from studying ancient remains which cannot be traced to any historic tribe. Many of the tribes migrated to their territories at the time of European encounter within 100–500 years from other locations, so their ancestors were not located in the historic territories. Such controversies have repeatedly stalled archaeological investigations, such as in the case of the Spirit Cave mummy; fears have been voiced that an anti-scientific sentiment could well have permeated politics to an extent that scientists might find their work to be continuously barred by Native Americans rights activists. Compliance with the legislation can be complicated. One example of controversy is that of Kennewick Man, a skeleton found on July 28, 1996 near Kennewick, Washington. The federally recognized Umatilla, Colville, Yakima, and Nez Perce tribes had each claimed Kennewick Man as their ancestor, and sought permission to rebury him. Kennewick, Washington is classified as part of the ancestral land of the Umatilla. Archaeologists said that because of Kennewick Man's great age, there was insufficient evidence to connect him to modern tribes. The great age of the remains makes this discovery scientifically valuable. As archaeologists, forensic specialists, and linguists differed about whether the adult male was of indigenous origin, the standing law, if conclusively found by a preponderance of evidence to be Native American, would give the tribe of the geographic area where he was found a claim to the remains. New evidence could still emerge in defense of tribal claims to ancestry, but emergent evidence may require more sophisticated and precise methods of determining genetic descent, given that there was no cultural evidence accompanying the remains. One tribe claiming ancestry to Kennewick Man offered up a DNA test, and in 2015 it was found that the Kennewick man is "more closely related to modern Native Americans than any other living population." In September 2016, the US House and Senate passed legislation to return the ancient bones to a coalition of Columbia Basin tribes for reburial according to their traditions. The coalition includes the Confederated Tribes of the Colville Reservation, the Confederated Tribes and Bands of the Yakama Nation, the Nez Perce Tribe, the Confederated Tribes of the Umatilla Reservation, and the Wanapum Band of Priest Rapids. The remains were buried on February 18, 2017, with 200 members of five Columbia Basin tribes, at an undisclosed location in the area. The issues of such resources are being addressed by international groups dealing with indigenous rights. For example, in 1995 the United States signed an agreement with El Salvador in order to protect all pre‑Columbian artifacts from leaving the region. Soon after, it signed similar agreements with Canada, Peru, Guatemala, and Mali and demonstrated leadership in implementing the 1970 UNESCO Convention. The UNESCO convention had membership increase to 86 countries by 1997, and 193 by 2007. UNESCO appears to be reducing the illicit antiquities trade. It is not an easy business to track, but the scholar Phyllis Messenger notes that some antiquities traders have written articles denouncing the agreements, which suggests that it is reducing items sold to them. An international predecessor of the UNESCO Convention and NAGPRA is the 1954 Hague Convention for the Protection of Cultural Property in the Event of Armed Conflict. The Hague Convention was the first international convention to focus on preserving cultural heritage from the devastation of war. Looting and destruction of other civilizations have been characteristics of war recorded from the first accounts of all cultures. On September 30, 1897, Lieutenant Robert Peary brought six Inuit people from Greenland to the American Museum of Natural History in New York, at the request of the anthropologist Franz Boas, in order to "obtain leisurely certain information which will be of the greatest scientific importance" regarding Inuit culture. About two weeks after arrival at the museum, all six of the Inuit people became sick with colds and fever. They began to perform their tribal healing process and were mocked for their bizarre behavior. These people became a form of entertainment for the Americans. By November 1, 1897, they were admitted to the Bellevue Hospital Center with tuberculosis, which they likely had contracted before their trip. In February, the first Inuit died and shortly after that two more followed. By the time the sickness had run its course, two men survived. Minik was adopted by a superintendent of the museum, while Uissakassak returned to his homeland in Greenland. Later, after being lied to and being told that his father Qisuk had received a proper Inuit burial, Minik was shocked to find his father's skeleton on display in the museum. In 1993 the museum finally agreed to return the four Inuit skeletons to Greenland for proper burial. Representatives of the Museum went to Greenland that year to participate. In contrast to peoples in other areas, some local Inuit thought that the burial was more desired by the Christian representatives of the museum, and that the remains could have just as appropriately been kept in New York. David Hurst Thomas' study of the case shows the complexity of reburial and repatriation cases, and the need for individual approaches to each case by all affected parties. In the United States, the Archaeological Resources Protection Act (ARPA) protects archaeological sites on federally owned lands. Privately owned sites are controlled by the owners. In some areas, archaeological foundations or similar organizations buy archaeological sites to conserve associated the cultural property. Selective export control laws control the trade of the most important artifacts while still allowing some free trade. Countries that use these laws include Canada, Japan, and the United Kingdom. Total export restriction laws are used by some countries to enact an embargo and completely shut off export of cultural property. Many Latin American and Mediterranean countries use these laws. Other countries, such as Mexico, use national ownership laws to declare national ownership for all cultural artifacts. These laws cover control of artifacts that have not been discovered, to try to prevent looting of potential sites before exploration. 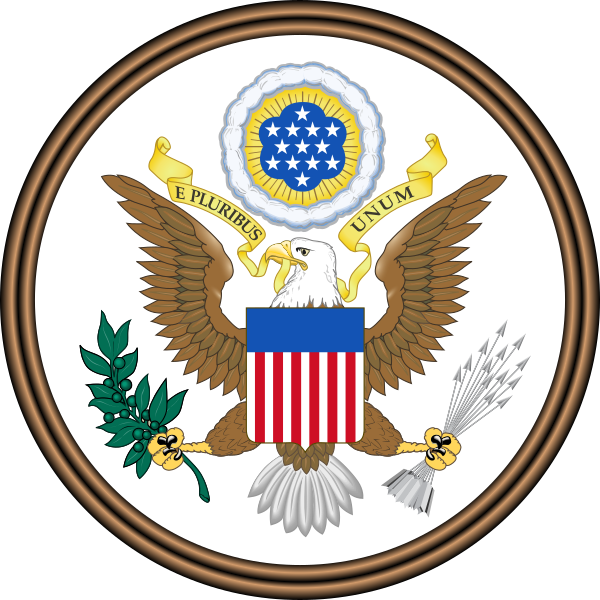 ^ The Smithsonian Institution is exempt from this act, but rather must comply with similar requirements under the National Museum of the American Indian Act of 1989. ^ a b Canby Jr., William C. (2004). American Indian Law in a Nutshell. St. Paul: West,. Page 276. ^ a b Frequently Asked Questions - NAGPRA, U.S. Park Service. ^ Carrillo, Jo, ed. Readings In American Indian Law. Temple University Press, 1998. Pg 169. ^ a b Gradwohl, David M.; Joe B. Thomson; Michael J. Perry (2005). Still Running: A Tribute to Maria Pearson, Yankton Sioux. Special issue of the Journal of the Iowa Archeological Society. 52. Iowa City: Iowa Archeological Society. ^ Peason, Maria D. (2000). "Give Me Back My People's Bones: Repatriation and Reburial of American Indian Skeletal Remains in Iowa". In Gretchen Bataille; David M. Gradwohl; Charles L. P. Silet. The Worlds between Two Rivers: Perspectives on American Indians in Iowa (expanded ed.). Iowa City: University of Iowa Press. pp. 131–141. ISBN 087745700X. ^ "Bones of Contention". British Broadcasting Corp. 1995. Retrieved 1 December 2009. ^ "Battle over Athlete Jim Thorpe's burial site continues". Washington Post. 17 March 2012. ^ "Neighbors Mourn Dickson Mounds` Demise". Chicago Tribune. November 26, 1991. ^ "Return to the Earth". Religions for Peace. Retrieved 2008-04-24. Mission: The Return to the Earth project supports Native Americans in burying unidentifiable ancestral remains now scattered across the United States and enables a process of education and reconciliation between Native and Non-Native peoples. ^ a b "Return to the Earth". Mennonite Central Committee. Archived from the original on 2006-11-20. Retrieved 2007-04-13. ^ "Cheyenne Cultural Center". City of Clinton, Oklahoma. Archived from the original on 2007-04-07. Retrieved 2007-04-13. ^ "The Nevada Journal: Scalping Science: Sensitivity Run Amok". archive.nevadajournal.com. Retrieved 19 March 2018. ^ Custred, Glynn (2000). "The Forbidden Discovery of Kennewick Man". Academic Questions. 13 (3): 12–30. doi:10.1007/s12129-000-1034-8. ^ "Tribes lay remains of Kennewick Man to rest". The Spokesman-Review. Spokane, Washington. February 20, 2017. Retrieved February 20, 2017. ^ Messenger, Phyllis Mauch. The Ethics of Collecting Cultural Property Whose Culture? Whose Property? New York: University of New Mexico, 1999. ^ "Convention for the Protection of Cultural Property in the Event of Armed Conflict". Archived from the original on May 25, 1997. Retrieved 2009-11-12. Fine-Dare, Kathleen S., Grave Injustice: The American Indian Repatriation Movement and NAGPRA, University of Nebraska Press, 2002, ISBN 0-8032-6908-0. McKeown, C.T., In the Smaller Scope of Conscience: The Struggle for National Repatriation Legislation, 1986-1990, University of Arizona Press, 2012, ISBN 0816526877. Redman, Samuel J. Bone Rooms: From Scientific Racism to Human Prehistory in Museums. Cambridge: Harvard University Press, 2016, ISBN 0674660412. "Native American Graves Protection and Repatriation Act:After Almost 20 Years, Key Federal Agencies Still Have Not Fully Complied with the Act" (PDF). U.S. GAO:Office of Public Affairs. U.S. Government Accountability Office. July 10, 2010. OCLC 651015196. Anzick-1 is the name given to the remains of Paleo-Indian male infant found in south central Montana, U.S. in 1968 that date to 12,707–12,556 years BP. The child was found with more than 115 tools made of stone and antlers and dusted with red ocher, suggesting an honorary burial. Anzick-1 is the only human who has been discovered from the Clovis Complex, and is the first ancient Native American genome to be fully sequenced.Paleogenomic analysis of the remains revealed Siberian ancestry and a close genetic relationship to modern Native Americans, including those of Central and South America. These findings support the hypothesis that modern Native Americans are descended from Asian populations who crossed Beringia between 32,000 and 18,000 years ago.Anzick-1's discovery and subsequent analysis has been controversial. The remains were found on private land, so the researchers did not violate the Native American Graves Protection and Repatriation Act (NAGPRA) in their study. But many Native American tribal members in Montana believed they should have been consulted before the researchers undertook analysis of the infant's skeleton and genome.Anzick-1 was reburied on June 28, 2014 in the Shields River Valley in an intertribal ceremony. The numerous Clovis artifacts associated with the first burial are archived at the Montana Historical Society in Helena, Montana. The Association on American Indian Affairs (AAIA) is a non-profit organization promoting the welfare of American Indians and Alaska Natives. AAIA is among the oldest Native American Indian advocacy groups in the United States, and has helped create the Indian Child Welfare Act, helped preserve Native American lands, and continues to improve the quality of life for Native Americans in the United States. Buhla is the name for a skeleton of a prehistoric (Paleo-Indian) woman found in a quarry near Buhl, Idaho, United States, in January 1989. The skeleton's age has been estimated by radiocarbon dating at 10,675 ± 95 BP, which confirms this as one of the oldest sets of human remains found in the Americas. The discovery was made by a quarry worker when he noticed what was found to be a thigh bone in the screen of a rock crusher. The nearly complete skeleton was subsequently unearthed nearby. "Found in collection" or FIC is a term used by a museum to refer to "undocumented objects that remain without status after all attempts to reconcile them to existing records of permanent collection and loan objets are completed". Despite the best efforts of museum staff, museums often have FIC items. This term was developed so that collections with incomplete provenance would be handled ethically and with transparency. Depending on the paperwork and information accompanying the material, the museum has several choices in how to proceed. George W. Gill is an American anthropologist, and a Professor Emeritus at the University of Wyoming and is "widely recognized as an expert in skeletal biology". The Huron Indian Cemetery in Kansas City, Kansas, also known as Huron Park Cemetery, is now formally known as the Wyandot National Burying Ground. It was established circa 1843, soon after the Wyandot had arrived following removal from Ohio. The tribe settled in the area for years, with many in 1855 accepting allotment of lands in Kansas in severalty. The majority of the Wyandot removed to Oklahoma in 1867, where they maintained tribal institutions and communal property. As a federally recognized tribe, they had legal control over the communal property of Huron Cemetery. For more than 100 years, the property has been a source of controversy between the federally recognized Wyandotte Nation of Oklahoma, which wanted to sell it for redevelopment, and the much smaller present-day Wyandot Nation of Kansas, which wanted to preserve the burying ground. The cemetery is located at North 7th Street Trafficway and Minnesota Avenue in Kansas City. It was listed on the National Register of Historic Places on September 3, 1971 and has been formally renamed the Wyandot National Burying Ground. It is in the Kansas City, Kansas Historic District. It was placed on the Register of Historic Kansas Places on July 1, 1977. In the early 20th century Lyda Conley and her two sisters in Kansas City, Kansas led a years-long battle to preserve the cemetery against forces wanting to develop it. In 1916 the cemetery gained some protection as a national park under legislation supported by Kansas Senator Charles Curtis. It continued to be subject to development pressure, with new proposals coming up about every decade. Passage of the 1990 Native American Graves Protection and Repatriation Act provided new protections, as lineal descendants of those interred must be consulted and they have a voice in disposition of cemeteries and gravesites. Lineal descendants among the Wyandot Nation of Kansas have strongly supported continued preservation of the cemetery in its original use. In 1998 the Wyandotte Nation of Oklahoma and Wyandot Nation of Kansas signed an agreement to use the Huron Cemetery only for religious, cultural or other activities compatible with use of the site as a burial ground. In December 2016 the cemetery was named as a National Historic Landmark. In the Courts of the Conqueror: The 10 Worst Indian Law Cases Ever Decided is a 2010 legal non-fiction book by Walter R. Echo-Hawk, a Justice of the Supreme Court of the Pawnee Nation, an adjunct professor of law at the University of Tulsa College of Law, and of counsel with Crowe & Dunlevy. John E. EchoHawk (Pawnee, born August 11, 1945) is a Native American attorney and founder of the Native American Rights Fund, established in 1970. He is a leading member of the Native American self-determination movement. Kleis Site is an historic archeological site located at Hamburg in Erie County, New York. The site contains the remnants of a 17th-century Iroquoian village and burial ground, and is one of a small number of Native American villages on the Niagara Frontier. Maria Darlene Pearson or Hai-Mecha Eunka (lit. "Running Moccasins") (July 12, 1932 – May 23, 2003) was a Yankton Dakota activist who successfully challenged the legal treatment of Native American human remains. She was one of the primary catalysts for the creation of the Native American Graves Protection and Repatriation Act (NAGPRA). Her actions led to her being called "the Founding Mother of the modern Indian repatriation movement" and "the Rosa Parks of NAGPRA". Native American religions are the spiritual practices of the indigenous peoples of the Americas. This article focuses on Native North Americans. Traditional Native American ceremonial ways can vary widely and are based on the differing histories and beliefs of individual tribes, clans, and bands. Early European explorers describe individual Native American tribes and even small bands as each having their own religious practices. Theology may be monotheistic, polytheistic, henotheistic, animistic, shamanistic, pantheistic or any combination thereof, among others. Traditional beliefs are usually passed down in the forms of oral histories, stories, allegories, and principles, and rely on face to face teaching in one's family and community. Osteoware is a free data recording software for human skeletal material that is managed through the Smithsonian Museum of Natural History. It is used by biological anthropologists to, in a standardized and consistent way, document data relevant to research and forensic applications of human skeletal remains. It has influenced other skeletal recording software, and has been successfully used at the Smithsonian for collecting data relevant to biological anthropology. Osteoware is the only free, individual-use software for the collection of data on skeletal material in anthropology. Plum Bayou culture is a Pre-Columbian Native American culture that lived in what is now east-central Arkansas from 650—1050 CE, a time known as the Late Woodland Period. Archaeologists defined the culture based on the Toltec Mounds site and named it for a local waterway. The State of Florida, the United States Federal government, local governments, and indigenous tribal governments have particular interests in the protection and preservation of Native American cultural, historic, and sacred sites in Florida. Florida has faced threats to its indigenous sites from looting, a lack of protection, citizen or amateur archaeologists, development, and other factors. Only in recent years has the protection of indigenous sites become a focus in Florida, where a long history of site destruction and looting is now being challenged. Law enforcement agencies mainly the Florida Fish and Wildlife Conservation Commission, have made efforts to protect Native American sites and disrupt the illegal artifact trade. Additionally anthropological and archaeological societies as well as Native American groups have been public forces fighting to protect indigenous sites. Despite the progress and increasing awareness in Native American site protection, recent bills in both the Senate and the House of Representatives have threatened sites throughout the state. These bills have also brought increased attention to the controversial issue of the protection of Native American sites. The skull and bones of a man buried between 9,800 and 10,200 years ago on San Miguel Island, in California's Channel Islands, were exposed by beach erosion and discovered and preserved in 2005 by University of Oregon archaeologists. The remains were dated by way of radiocarbon dating and evaluation of artifacts which had been intentionally buried with him. They were analyzed, but it was not possible to extract the Tuqan Man's DNA, though increasingly better testing techniques and methods became available and were utilized over the 12 years that passed after his original discovery. The remains were studied before their return to the island, which was delayed by resolution of tribal identification and ownership issues contingent on resolution of the precedent-setting Kennewick Man case from Washington State. Analysis of the bones indicated that he was in his forties when he died, and had spent time some distance east of what is now the Santa Barbara coastal region. Under procedures in accordance with the Native American Graves Protection and Repatriation Act (NAGPRA), in May, 2018, they were restored to the claiming Chumash tribe, for reburial on the island. The Chumash people had long occupied the island before the arrival of the first European explorers, and the find was given the place name of the island in the Chumash language.Archaeological research has shown that San Miguel Island was first settled by humans at least 12,000 years ago, when San Miguel was still part of the larger Santarosae Island that connected the northern Channel Islands when sea levels were lower near the end of the Last Glacial period. Because the northern Channel Islands have not been connected to the adjacent mainland in recent geological history, the Paleo-Indians who first settled the island clearly had boats and other maritime technologies. San Miguel was occupied by the ancestors of today's Chumash people for many millennia. They had developed a complex and rich maritime culture based on ocean fishing, hunting, and gathering. They called the island Tuquan in the Chumash language. For many centuries, they built and used sophisticated canoes, called tomols, made from sewn planks caulked with asphaltum (bitumen). In tomols, they fished and hunted in island waters and participated in active trade with their neighbors on the other islands and the mainland. A remaining population of a dwarf species descended from Columbian mammoths, existed on the Channel Islands when they were first visited by Paleoindians, but were extinct for perhaps three millennia prior to the death of Tuqan Man. In Law, a valid claim is a "grievance that can be resolved by legal action." It is a claim that is not frivolous, nor is based on fraud.In some state court systems, a valid claim is called a Claim for relief or a Claim and delivery.